Published: Sept. 15, 2009 at 03:21 p.m. The loss of Brian Urlacher significantly impacts a defense that was expected to rank among the league's best units in 2009. The six-time Pro Bowler is unquestionably the heart and soul of the Bears defense, and his versatile skills shine in the team's Tampa-2 scheme. As a rare athlete at the position, Urlacher has the speed to run down the middle of the field with speedy slot receivers. And his uncanny instincts and ball skills result in numerous game-changing interceptions in coverage. Moreover, Urlacher gives the team an explosive sideline-to-sideline defender against the run, and his ability to shoot through gaps makes it difficult for teams to attack the Bears with off-tackle runs. Although back and neck injuries had limited Urlacher's production the past two seasons, the nine-year veteran was healthy and poised to return to all-star status for the Bears during the preseason. 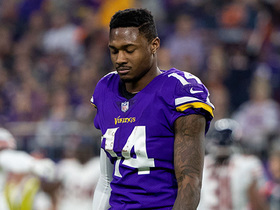 However, his season-ending wrist injury eliminates that possibility and leaves the team searching for answers at the position. In looking at the Bears' roster, the most likely replacement is Hunter Hillenmeyer. The seventh-year pro filled in admirably for Urlacher against the Packers, and has the experience to handle the responsibility of making the checks and adjustments upfront. Though Hillenmeyer lacks Urlacher's extraordinary athleticism, his instincts and guile will allow him to function well in the middle in the Bears defense. Hunter HIllenmeyer will attempt to fill the void left by six-time Pro Bowler Brian Urlacher. If Hillenmeyer falters as Urlacher's replacement, the team could turn to Jamar Williams as a potential fill-in. The fourth-year pro has only one career start, but has shown promise while serving as a special teams maven for the Bears. He played multiple positions during his tenure in Chicago, and could be a serviceable option if Hillenmeyer disappoints. In looking at the potential X's and O's adjustments with Urlacher out, the biggest change will come in coverage. Urlacher's speed made it difficult for teams to throw deep down the middle of the field, so Hillenmeyer may have to line up a little deeper to make sure that he keeps opposing tight ends from running freely down the seams. Additionally, Lovie Smith will have to adjust the team's blitz package to compensate for Urlacher's loss. The 10-year pro ranks as one of the league's best inside rushers and his 37.5 career sacks ranks as the most in team history by a linebacker. The team was expected to rev up the pressure to bolster their pass rush, and Urlacher was slated to be a part of their aggressive game plan. Without that threat in the lineup, Smith will depend on Lance Briggs, Hillenmeyer and a formidable front four to create consistent pressure on the quarterback in the pocket. In addition, he may call more secondary blitzes to give the Bears defense an added dimension. Two of the team's four sacks against the Packers were the result of safety blitzes, and the tactic is sure to be used more often with Urlacher unavailable for the remainder of the season. The Bears' rush defense took a bit of a dip without their defensive leader on the field against the Packers, and future opponents will continue to test that weakness by running downhill at Hillenmeyer. Though the veteran played solidly as a fill-in, he had some missed tackles against Ryan Grant that led to solid gains between the tackles. Whereas Urlacher was blowing up those plays at the outset, Hillenmeyer's inability to consistently make the play gave life to a struggling Packers rush attack. Although the Bears limited Grant to only 61 yards, the seemingly impenetrable unit showed some cracks without Urlacher on the field and will need to shore up their gap discipline going forward. 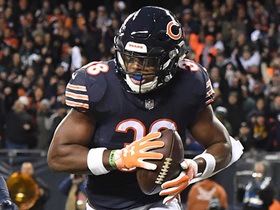 Lovie Smith entered the season facing the challenge of rebuilding a Bears defense that had lost its swagger last season, and now has the added pressure of retooling the unit without the team's top defensive player. 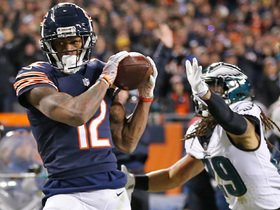 With the team's postseason prospects hinging on the performance of the defense, how well he adjusts to the loss of Urlacher will determine if the Bears continue to rank among the list of title contenders in the NFC.